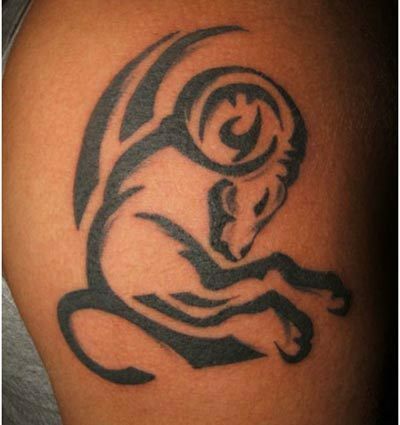 This is the first zodiac sign and in represented by a ram. It is ruled by the planet mars. People born between March 21st and April 19th belong to this zodiac. Aries zodiac sign holders are independent, generous, optimistic and courageous. 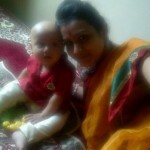 They are born leaders and are always ready to act upon ideas. 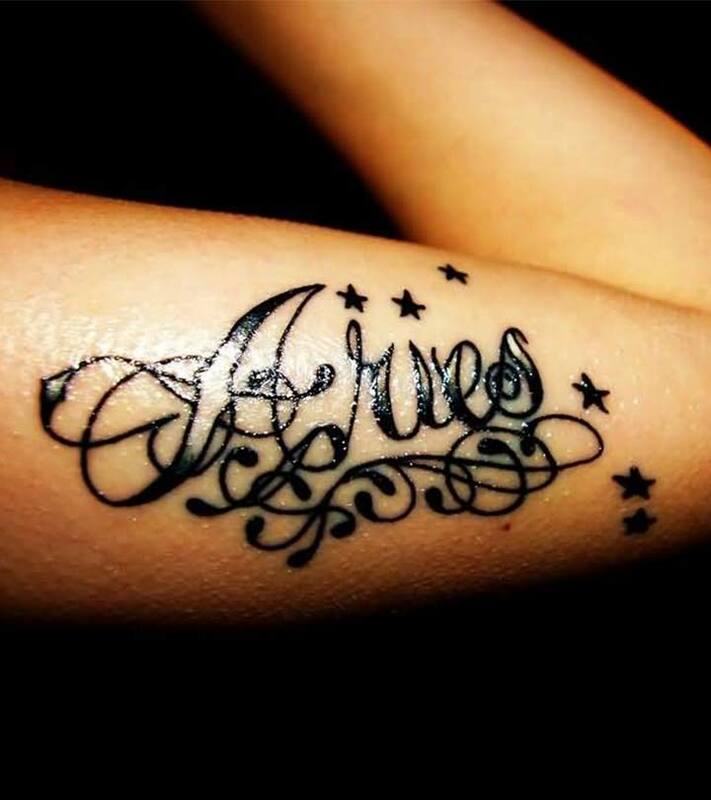 There are quite a few tattoos Aries zodiac sign holders may get. Here are a few. Many a time’s designs and figures are not very explanatory. That is why the name of your zodiac would be perfect if you want your tattoo to convey a very specific meaning. The tattoo could be given artistic touches by adding floral or celestial patterns to it. 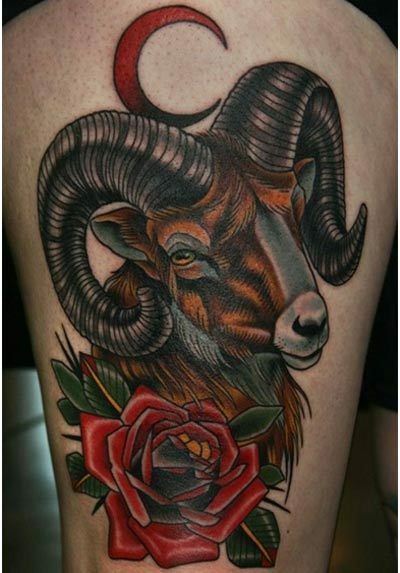 While searching for Aries tattoo designs, you can definitely look up the full ram designs. The ram might be rooted to the ground or standing on its back legs. It could be made fully in black or made to resemble the actual animal. The Aries zodiac is symbolized by two ram head horns. 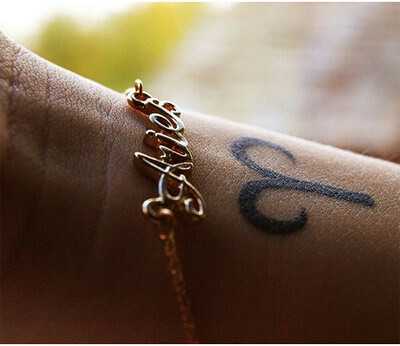 While looking for a simple tattoo to symbolize your zodiac, this is a tattoo worth considering. The tattoo would look great in any colour. 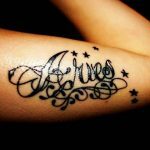 Since it is a smaller tattoo it could be inked on the nape of the neck, the wrist or the ankle. A floral touch could be given to the Aries symbol by enclosing it in vines and creepers. Colour might also be added to make the tattoo look prettier. Floral touches would represent the gentle and nature loving side of Aries zodiac sign holders. Tattoos are a form of art and should be thus made to look artistic. An artistic twist can be added to a simple zodiac sign by enclosing it in a tribal design. This would make the tattoo look charming. Intricate designs could be used to make the tattoo complex. 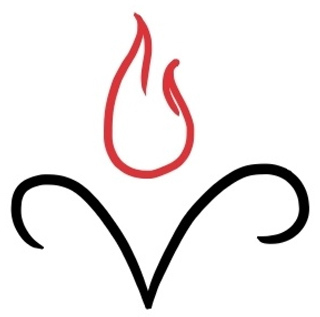 Aries are zodiac signs with fire as their element. 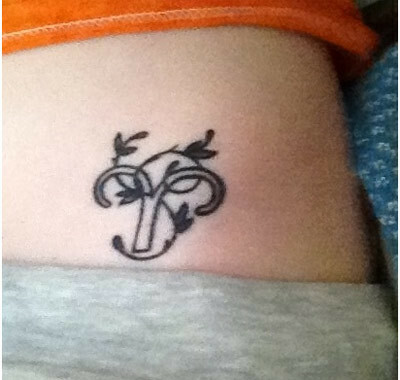 That is why an Aries symbol with a burning fire would make a great Aries tattoo. Butterfly wings express freedom and creativity. Also, they are very feminine. 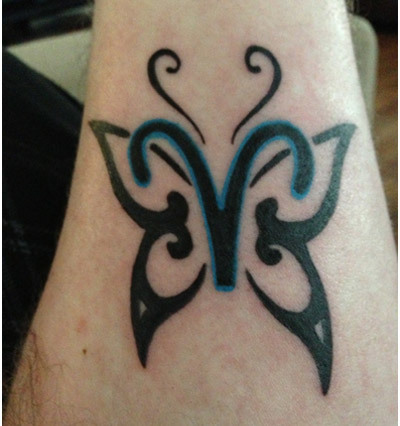 You could combine the Aries zodiac with the butterfly wings to give the tattoo a different look. 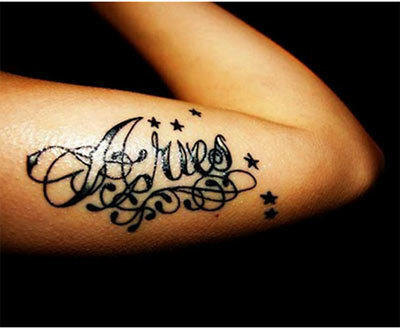 The Aries constellation would be a very apt Aries tattoo. It would also be a very flexible tattoo in the sense you could have it anywhere on your body and in any colour. 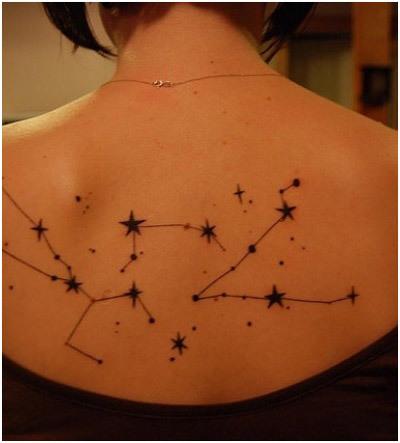 The stars could be made with five point star figures to make the tattoo brighter and more fun. A ram is a headstrong animal. Aries zodiac sign holders have inherited this quality. They always know what they want to do and are ready to jump into a problem and solve it in the moment instead of lingering over it. A ram head tattoo would represent this quality. 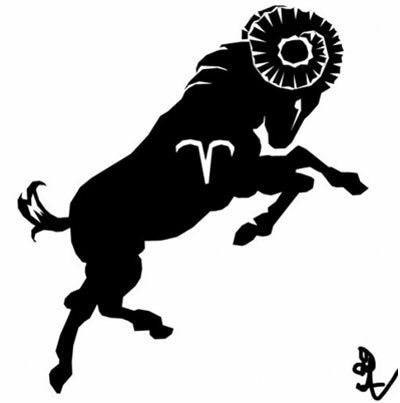 A ram outline in black would make a great tattoo design. You could give it a paint brush look or a 3D effect. Find hundreds of zodiac tattoo art on Tattoos For All and pick what speaks best about you. These Zodiac Pairs Are The Most Passionate And Powerful Together!